Under the name 'Judith Gurney', Judith Edwards has written a memoir: Pieces of Molly. 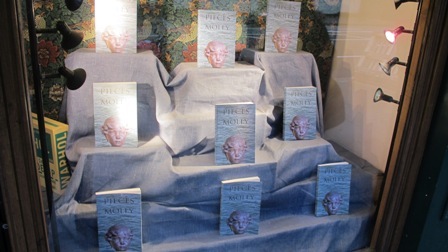 There was a book launch on April 25th, 2012 at Daunt Books in Holland Park Avenue. ‘I’ve just finished 'Pieces of Molly', and have read it with great enjoyment and admiration. It's so well written, not just at the level of the sentences, but in the way the perspective shifts. It's constantly engaging. It's also very evocative for me. Having grown up in the same period, though in a different setting (London suburbs), so much of what she describes is familiar - both the world of things, and the way relationships were handled (by silence). Carole Satyamurti is a poet and sociologist, who lives and works in London. Alos see Amazon reviews for further comments. Pieces of Molly has been called in by the judges of the PEN Ackerley Memoir prize.